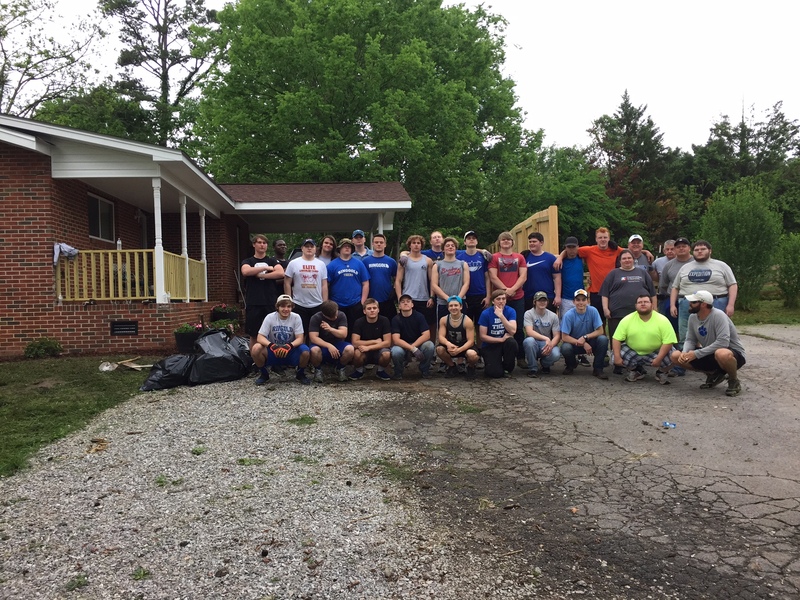 On July 5th members of the Church of Jesus Christ of Latter-Day Saints, partnering with Habitat for Humanity of Catoosa County, volunteered their time to help senior homeowners beautify their yard. The fourteen volunteers came from the Latter-Day Saints’ Young Women’s Camp which encompassed young ladies from the Latter-Day Saints’ Chattanooga Stake. All the young women came from different wards in the area such as Signal Mountain, Hixson, Dalton, and Brainard. Any group wishing to volunteer with Catoosa Habitat can visit catoosahabitat.org and fill out the volunteer interest form. They can also volunteer by emailing Catoosa Habitat at Habitat1@catt.com or by calling their office Tuesday-Thursday at 706-861-5858.